Welcome fans of the pride of South Bend. I am a long-time Studebaker fan and Studebaker Driver's Club member, having owned a 1957 Silver Hawk in high school and a 1959 Lark Regal Hardtop in college. Since then, I have owned other Studes as hobby cars including a 1962 Champ Pickup, a 1964 Canadian Commander Special, a 1962 GT Hawk, a 1960 Lark Regal 4-door, a 1957 Silver Hawk (not the same one I owned in high school -- that one I wrecked) and a 1949 Champion Starlight Coupe. 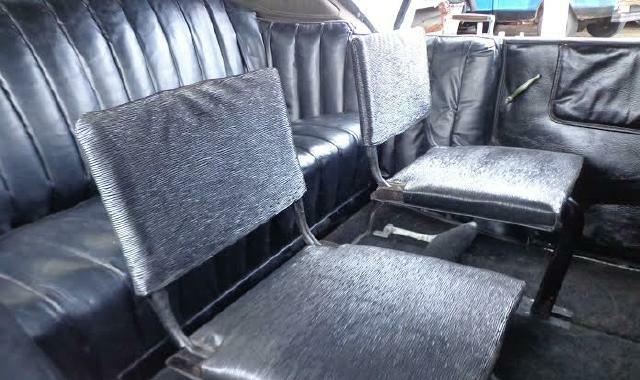 My current Stude is a 1964 Challenger Wagonaire sliding roof station wagon. I will build this page as time allows. If you have any suggestions or comments, please send me a message. Both text and image contributions are welcome. 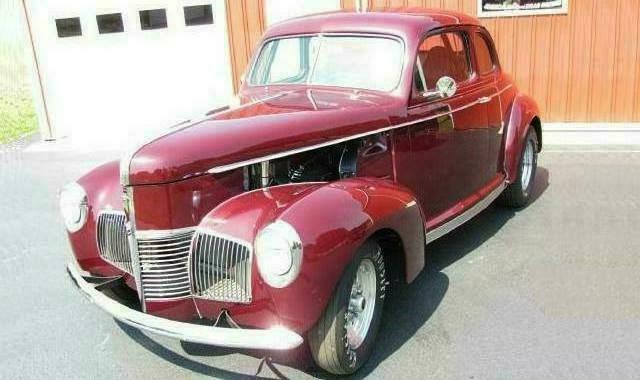 This cool 1940 Studebaker Champion Coupe Race Car dubbed "Studebaker on Steroids" is owned by Les Harris of Pittsgrove, New Jersey. The car is an old B/Gas racer that was converted to a street rod and then back to race car form after Les got the race bug once again thanks to his eldest son who races a 1970 Chevelle. The Stude runs a 434 cubic inch small block Chevy V8 that puts 620 hp to the wheels through a two-speed Powerglide automatic transmission and a 9" Ford full spool rear end. It drinks race fuel through a Holley Dominator 1050 CFM carburator. The car typically runs in the 9.70's with a best 1/4 mile time of a 9.60 seconds. Les says that it gets lots of attention when it leaves the starting line and lifts its wheels off the track Here is a side view of this sharp machine. 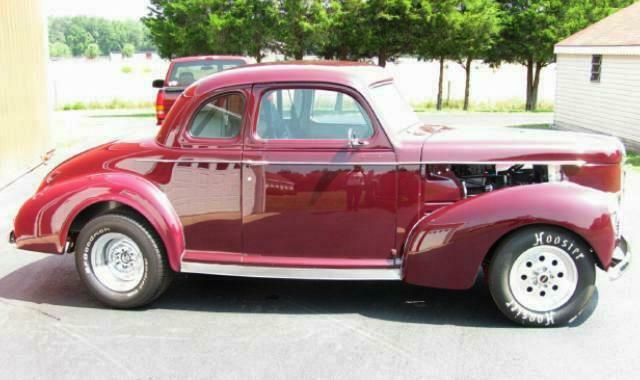 The lightweight Studebaker Champion was introduced in 1939 as an all new design. 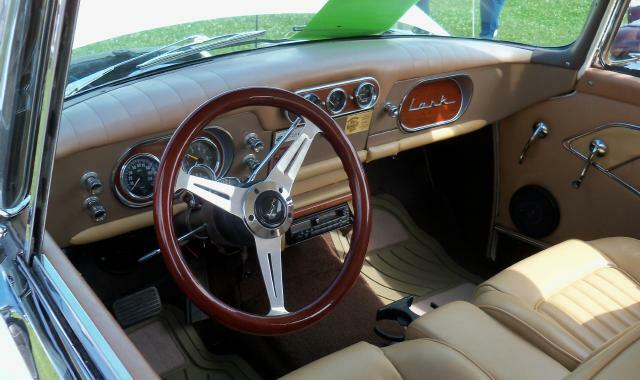 Styled by the Raymond Loewy Studios, it was 600 pounds lighter than competing models from Chevy and Ford. 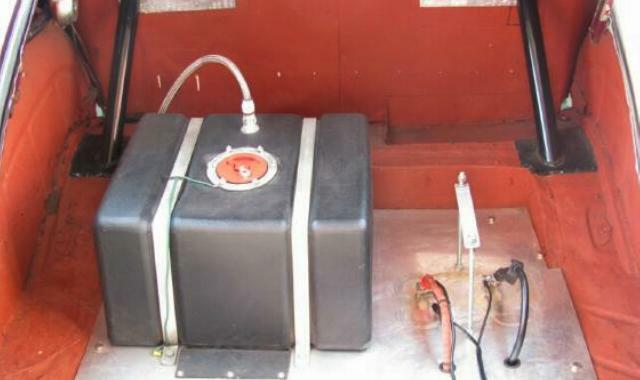 It was powered by a 164 cubic inch six cylinder engine rated at 78 horsepower and was a consistent performer in the Mobilgas Economy Run. Champion production increased from 33,905 in 1939 to 66,264 in 1940 and 89,910 in 1941, only to be cut short by World War II. A slightly revised grille and sealed beam headlights were the major changes to the Champion for 1940. The coupe is particularly attractive and its light weight makes it a good chice for conversion into a drag racer. Les says that he is finished with racing and prefers to tour with his wife Alice on VMCCA and Studebaker events. He is in the process of converting the 1940 Champion back to a street rod. Les and his wife Alice own a beautiful 1955 Studebaker Speedster that was featured on the page in December 2012 that they use for touring. 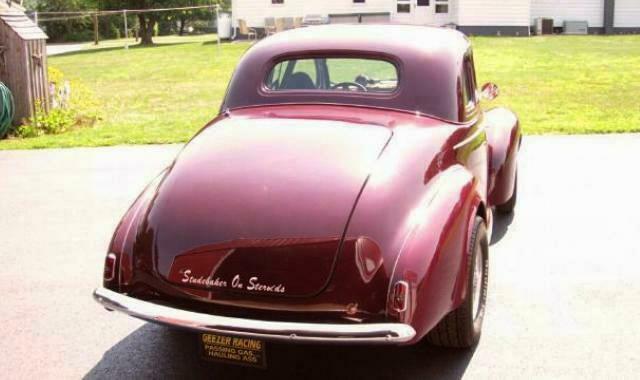 Thanks to Les for sending the pictures and information about his cool Studebaker Race Car. If you own or once owned a Studebaker or related vehicle and would like to see your car as "Stude of the Month" or in the "Cool Studes" section, or if you have other pictures or material that you would like to contribute to this page, please e-mail me here. I can accept either electronic or hard copy images. The Main Page is issued every other month so the next edition will be April 2015. All of the previous editions of the Main Page going back to October 1995 have been reposted. In the process of reposting the pages, I have made corrections and revisions as needed, and in some cases added material that was not used when a page was first posted due to download speed and file storage limitations. A complete list of Main Pages and Studes of the Month with links to each is located here. If you have a particular interest in Bullet Nose Studebakers, visit Bill Junge's Bullet Nose Paradise which is dedicated to the 1950 and 1951 Bullet Nose models. 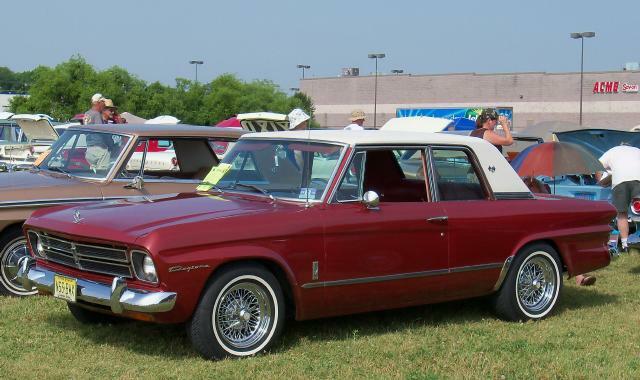 This neat 1960 Lark Regal Hardtop belongs to Bill Fogg of Villas, New Jersey. The exterior color is White Sand. 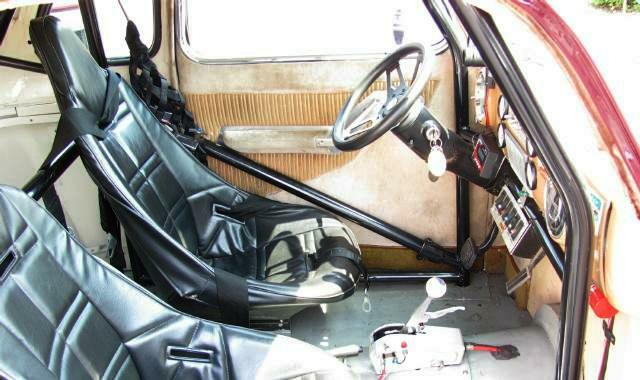 Bill's Lark is powered by a Chevy 350 V8 and sports bucket seats and a full set of round VDO gauges. Other than modern wheels and tires it appears stock on the outside and retains all of its original bright trim except for the front grille emblem. Here is a closeup shot of the instrument panel. Studebaker made only minor trim changes to the Lark for 1960 including a slightly revised front and side grill pattern and somewhat different tail light lenses. A total of 7,394 Lark Regal Hardtops were produced for the 1960 model year. Bill's Lark took a first in Division 9, Non-Stock Non-Studebaker Powered, with 393 points. 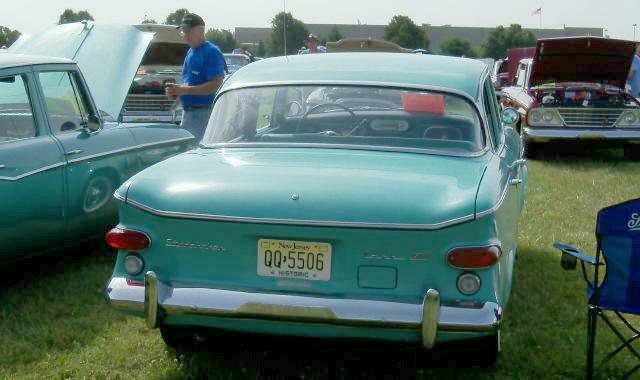 This very nice 1959 Studebaker Lark 4-Door sedan is owned by Karl Schloeder of Middletown, New Jersey. The exterior color is Hawaiian Green. Karl's Lark is a Regal model with stainless steel trim around the side windows and is equipped with a Studeabker 259 cubic inch V8 rated at 180 horsepower and Flightomatic automatic transmission. It also has a factory push-button radio, backup lights, dual exterior rear view mirriors, and bumper guards front and rear. 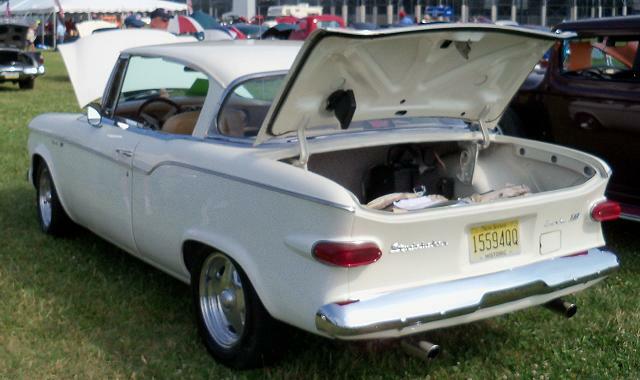 The 1959 Lark was designed around the existing Studebaker full-size body shell with greatly reduced front and rear overhang. The result was a simple but attractive car that sold well and kept Studebaker in the car business for several more years. Karl's Lark was registered as display only so it was not judged. This rare 1966 Daytona Sport Sedan belongs to Ray Morgenweck of Egg Harbor City, New Jersey. The exterior color is Mount Royal Red which was a new color for 1966. 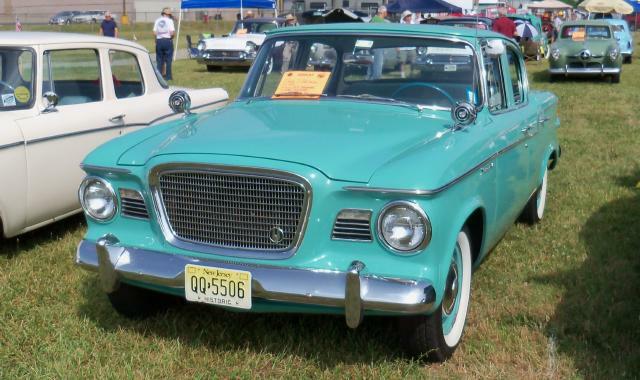 Along with a new grille, rear end revisions, and lowered side trim, Studebaker introduced several new colors for the 1966 model year which was to be the last. 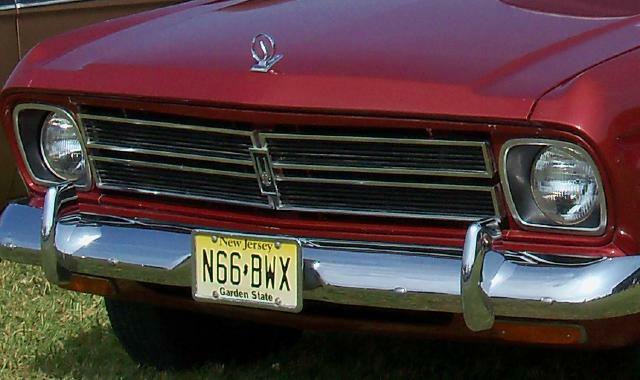 Here is a closeup shot of the new for 1966 front grille. Ray's Daytona is powered by a General Motors McKinnon Industries Division 283 cubic inch V8 and is equipped with aftermarket wire wheels and modern tires. Studebaker produced only 873 Daytona Sport Sedans for 1966 before production ended in March of that year. The information card for Ray's Daytona indicated that it was the only car he had driven for the last two and one-half years. Ray's Lark has standard New Jersy plates indicative of its staus as a regular driver. 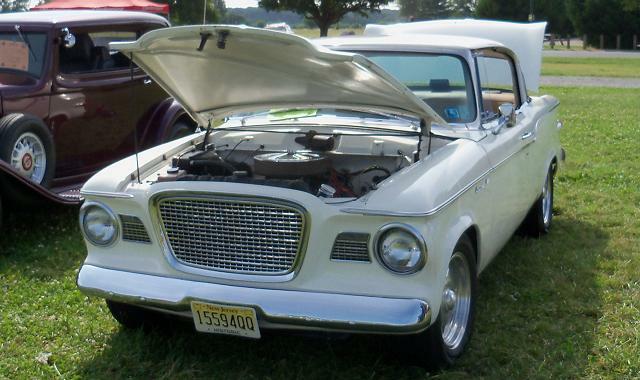 The pictures were taken at the Studebaker Drivers Club International Meet in Dover, Delaware in July of last year. Dan Armstrong from Mansfield, Texas has created a number of crossword puzzles and games for car nuts. These are available on-line at Dan's Extreme Car Puzzles. Dan has a strong interest in Studebakers, particularly the 1956 Sky Hawk, the performance equipped 1963 Lark Daytona, and the performance equipped 1963 and 1964 GT Hawks. The Studebaker crosswords are copyright by Dan Armstrong and are used with his permission. Thanks to Dan for providing the link and the downloadable Studebaker crossword puzzles for readers of this page to enjoy. Nick Bodemer's Studebaker Dealer Inventory Project was started in June 2011 and includes a growing number of pictures, articles, ads, and other items related to former Studebaker dealerships. Well worth a visit. If you have a Google account you can join the site through Google Friend Connect. Mike Maier of Sellersville, Pennsylvania sent several pictures of a 1922 Studebaker Model EK 7-Passenger Touring Car that he has for sale. 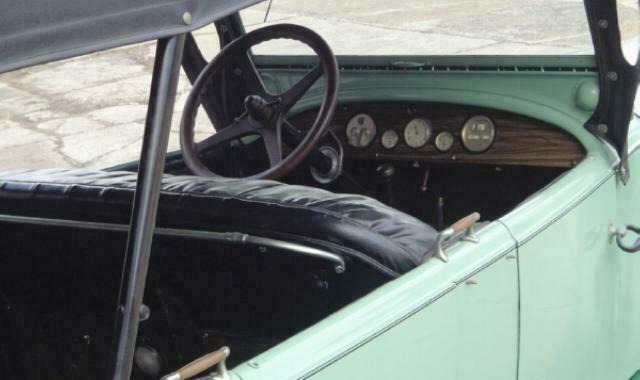 It has only 18,610 original miles and has its original leather interior. 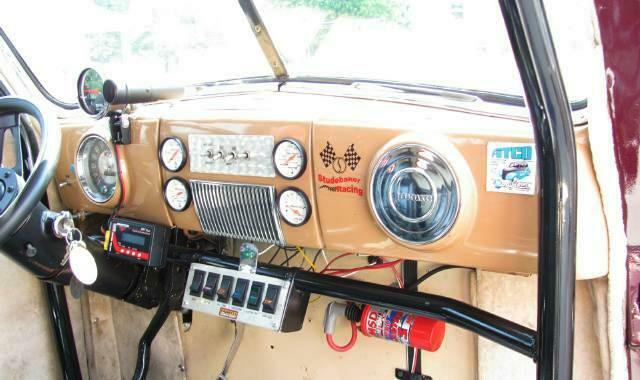 The car had a full cosmetic restoration in 1980 and has alway been garaged. 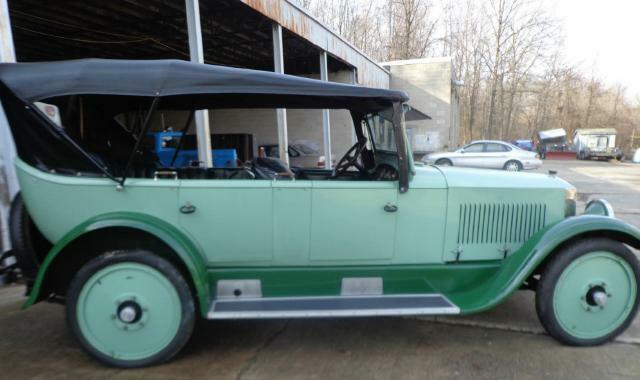 It is finished in two-tone green as when it left the factory in 1922. 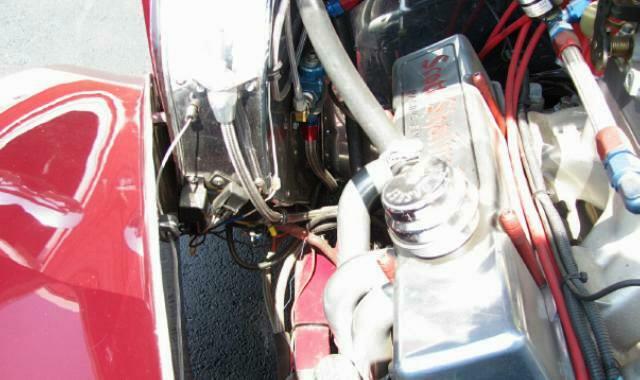 The Model EK was powered by Studebaker's Big Six engine which in this application displaced 354 cublic inches with a rating of 60 horsepower. It has a three speed manual transmission and a single dry-plate clutch. The Model EK was the most expensive car that Studebaker offered in 1922. 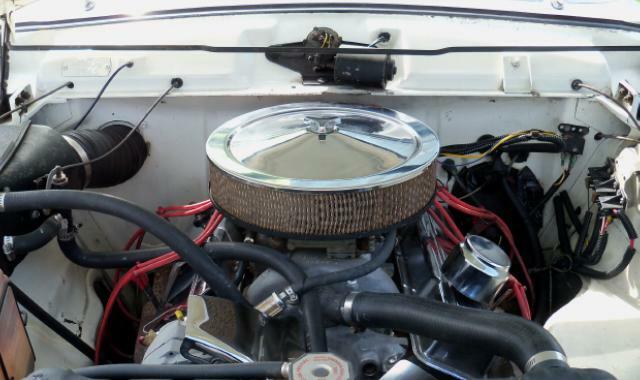 Studebaker's Big Six engine is famous for both its performance and its reliability. 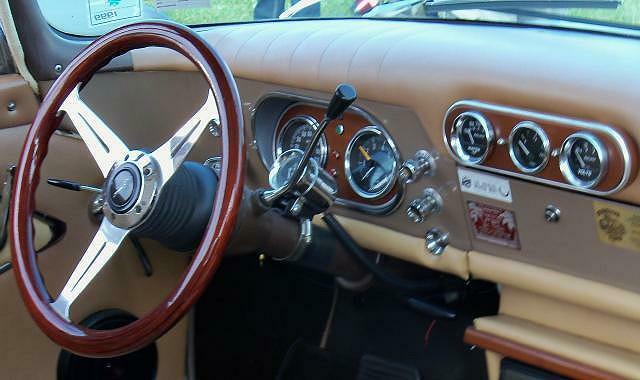 The car is in good running order and includes a set of manuals. Mike can be contacted at Eastconnectmover@aol.com by anyone who has an interest in this fine Studebaker. Thanks to Mike for sending in the pictures and information regarding his Studebaker Model EK. Did you know that Michael Kelly's New Avanti Motor Corporation signed a deal to produce the VW based Brazilian Puma Sports Car? I didn't think so! The deal fell through when Kelly ran out of money. To learn more about the Puma, visit my Puma Sports Cars Site. 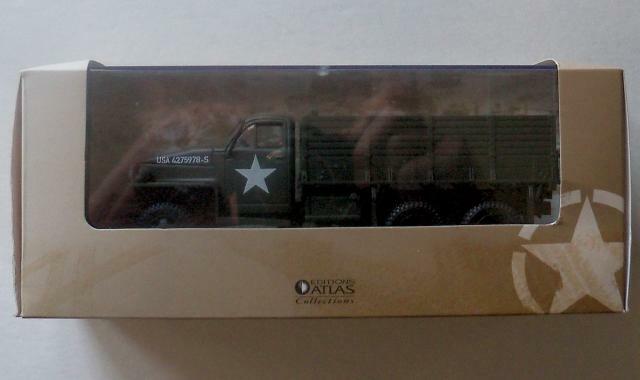 The Atlas 1:43 scale Studebaker US6 Military Truck is a product of Editions Atlas which is based in Evreux, France. 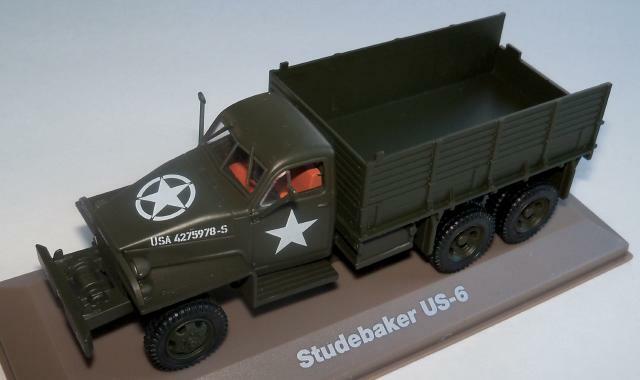 It appears to be the same casting as the Eaglemoss Studebaker US6 featured in the December issue of this page but with a different color scheme and markings. Here is a picture of an Atlas and an Eaglemoss US6 together. 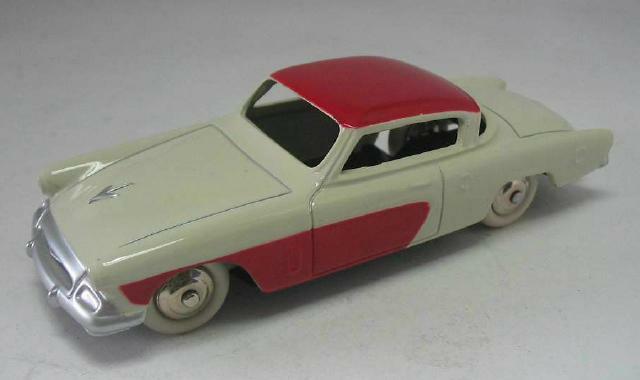 The Atlas Studebaker US6 comes packed in a window box with plastic display case. It has U.S. Army markings and is painted olive drab as used by U.S. forces whereas the Eaglemoss US6 is painted khaki green as used by British and other allied forces. 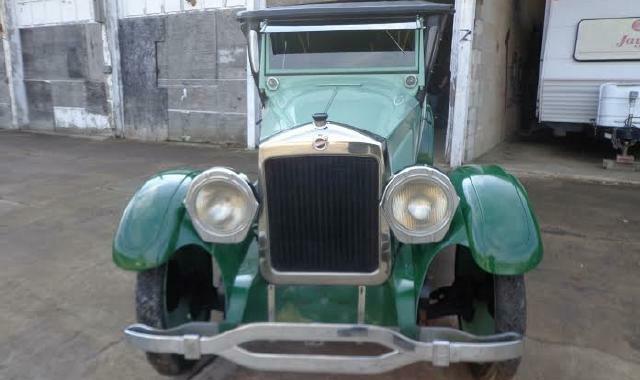 I purchased this example of the Atlas Studebaker US6 on eBay from a vendor in France. 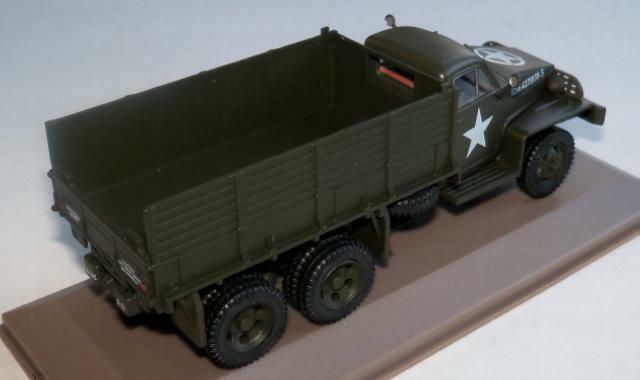 Large numbers of 6X6 Studebaker US6 trucks were sent to the Soviet Union under the Lend-Lease Program. 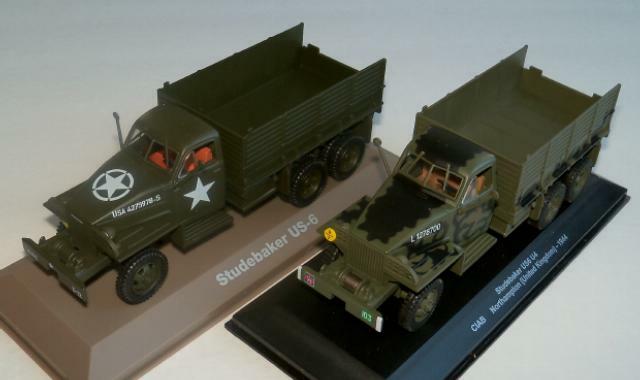 The Studebaker US6 was also provided to other allied nations while the similar General Motors CCKW 6X6 truck was used mostly by U.S. forces. A limted number served with the U.S. military. 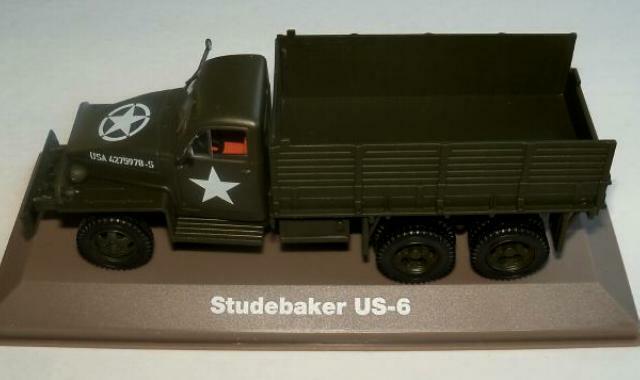 Studebaker US6 trucks were used in the construction of the Burma Road and the Alaska Military Highway. Atlas Editions markets an extensive line of adult collectibles including a 1:43 scale "Spirou et Fantasio" 1953 Starliner Hardtop that was featured on this page in December 2008 and a 1:43 scale 1947 Studebaker Commander in the Tintin Series that was featured on this page in June 2012. 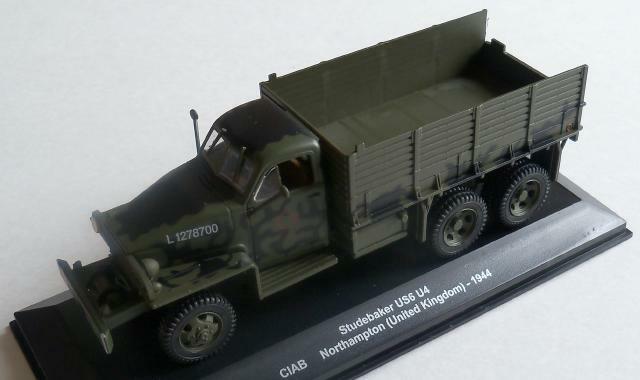 Atlas also markets a reproduction Dinky Toys line that includes a 1955 Commander Hardtop and several versions of the Dinky Studebaker M Series Truck. More toy Studes can be found in the Stude Stuff area of this page and on my Studebaker Toys Home Page. 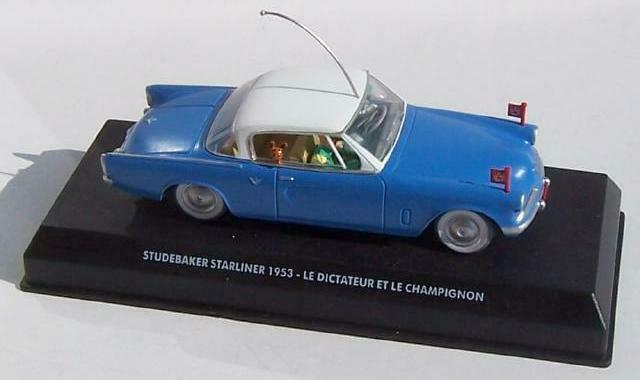 Click here for information on ordering hard to find Studebaker toys made by manufacturers such as Johnny Lightning, Racing Champions, Hot Wheels, Matchbox, Muscle Machines, Maisto, and EKO. 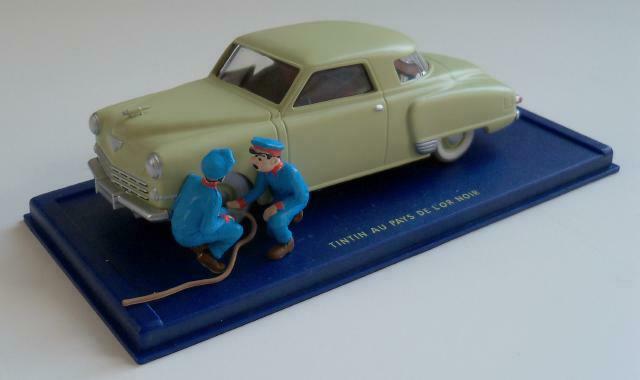 Jim Geary's book Studebaker Toy Treasures is the standard reference collectors of Studebaker Toys. This wonderful book has 294 pages of color pictures and details on hundreds of Studebaker toys. Publication date is 2004 and just about every Studebaker toy and model produced up to that time is pictured and cataloged. Jim is making the book available for the reduced price of $28 including shipping. This is a great deal since most vendors sell this book for $39.95 plus shipping. Jim will sign the book if requested. Jim can be contacted at sanjim76@live.com or send payment to Jim Geary, 181 Allendale Hills Road, Franklin, NC 28734. 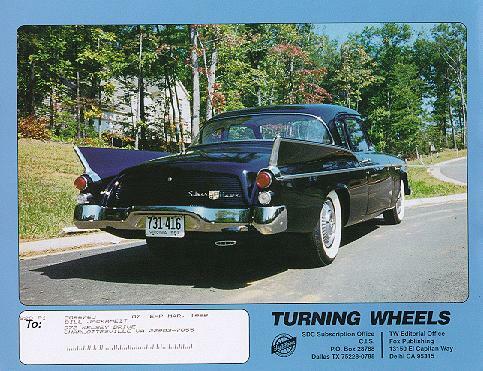 August 1998 Turning Wheels Back Cover. Or go to the previous edition of the Main Page.